My name is Tom Ryder. I am a Suffolk-based wedding singer providing live music on acoustic guitar and vocals, covering Suffolk and the south east of the UK. I also travel further afield when requested. I can sing during any part of your wedding, including the ceremony, drink receptions, meal (wedding breakfast) and the first dance. You can’t really talk about Suffolk without mentioning its prodigal son, Ed Sheeran. 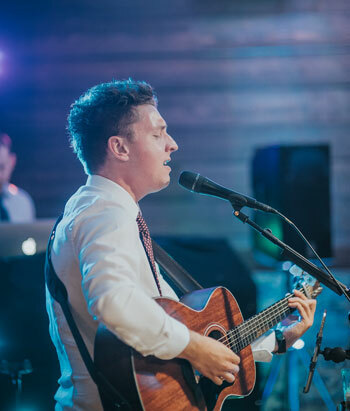 Ed’s music has been part of weddings ever since he burst onto the scene in 2011 with his debut album +. His first record featured Lego House, his second album x featured Thinking Out Loud and his latest album Divide includes Perfect. As well as the softer sentimental tracks he also has dancer tunes such as You Need Me, I Don’t Need You and Shape Of You. He is without doubt the most requested artist during my acoustic sets. What is perhaps lesser known about the county is the abundance of beautiful countryside and rural areas you can discover. Wonderful architecture and historic buildings are to be found everywhere, and many of these operate as wedding venues. Some of the fantastic venues in Suffolk that I regularly perform at include Houchins, Prested Hall, Hengrave Hall, Helmingham Hall, Milsoms Kesgrave Hall and Dedham and Braxted Park. Is your wedding in Suffolk? Are you looking for a singer? Contact me here for advice about live music on your big day. You can view the services I provide, compare prices, view my repertoire, and read what other couples have said about me by reading reviews and testimonials.